Ok so… Moving to MuleSoft doesn’t mean I’ll stop writing about Oracle, at least not for now. 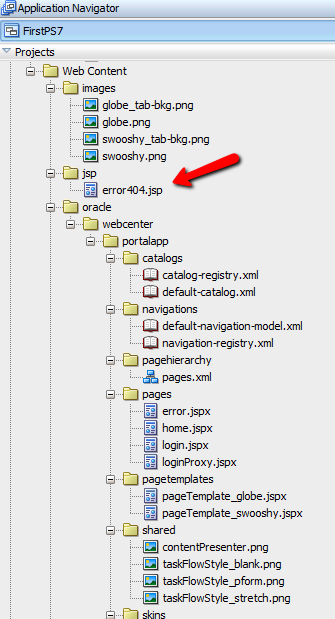 This post should help some of you that still have nightmares when you hear the word Page Style in WebCenter Portal. They are not difficult to build, as they can be considered like “Templates” but once they get assigned to a Page, if using a common approach, you can’t change modify a Page Style and reflect the change to an existing page, unless you RECREATE the page. Build dynamic Page Styles, one of the most easiest ways of doing this is using “Declarative Components“. 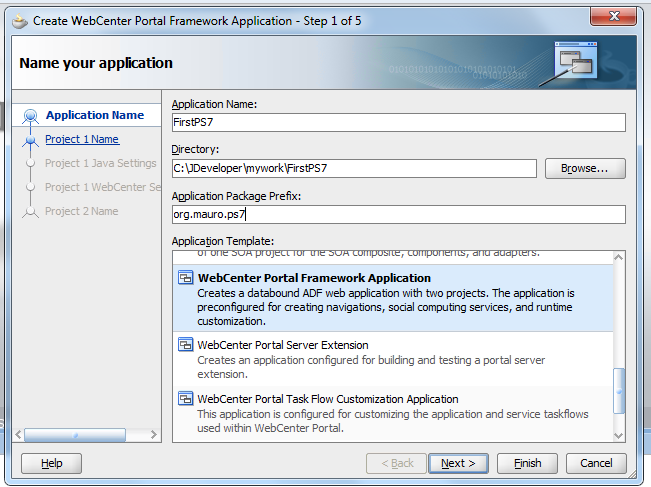 I’ll describe this solution for both, WebCenter Portal Framework and WebCenter Portal. Modify the Declarative Component and test. Facets are important as there I will hold Composer components. In the code shown, I have commented a pannelSplitter and I display a pannelTab instead. The example is mainly to show you that the Page Style can be modified from a pannelSplitter to a pannelTab without recreating the whole page. What the Page Style does, is to reference the Declarative Component and inside the facets it includes the panelCustomizable component for Composer. Create the Portal Resource for the Page Style and run your application, create a new page using the new Page Style, add something in run time using Composer, then just change the Declarative Component and test it again, your modification should be directly reflected to your page without rebuilding the whole thing, IMPORTANT, remember to leave the reference to the facets. 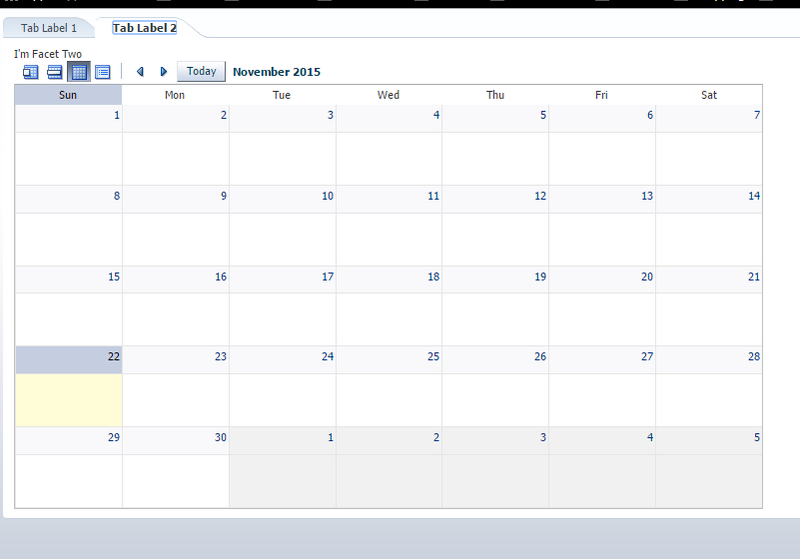 What’s different for WebCenter Portal? This will import any change done to the Declarative Component. 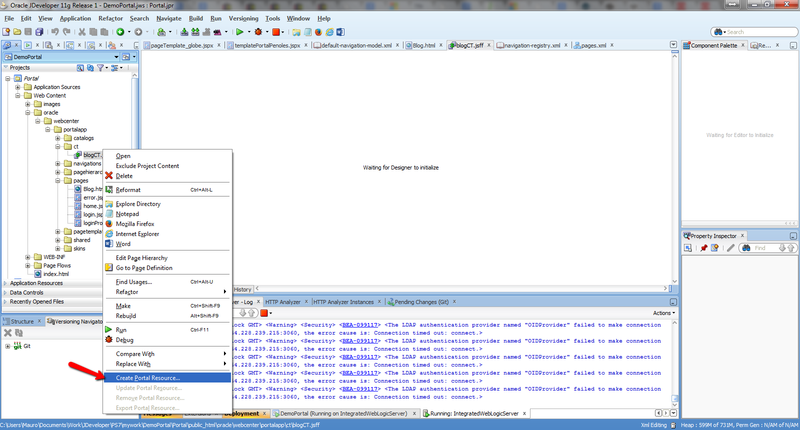 This version is based on ADF12c meaning: JSF2, Jersey 2, Oracle REST. More to come in following posts. I have been out for some time, but wanted to share the new WebCenter Release, I’ll create another post to provide a personal feedback. 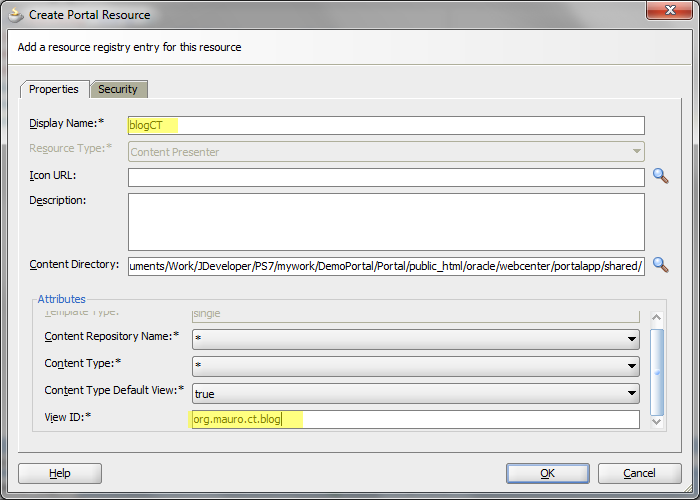 The main idea of this post is to help you locate the “generic-site-resources.xml” file and modify its content. Creating a resource is a topic I will talk in a different post. 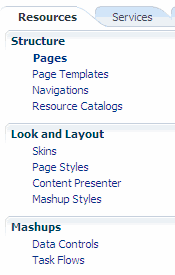 What I will like to share with you is how to change the visibility of new resources in Design Time. A good example is a Content Template, whenever you create a Content Template in Design Time, this resource by default gets a visibility to False, you can change this in runtime, but if you’re developing to test is a pain to change this property every time you lose your MDS. B.- Look for your template and make it visible. The problem with this solution is that as mentioned before you’ll lose all your changes if you are running the Portal locally and you’re erasing your MDS every time you run the Portal. Just look for your template, in my case “org.mauro.ct.blog” look for the tag “<resource>” and modify the visible property from FALSE to TRUE. 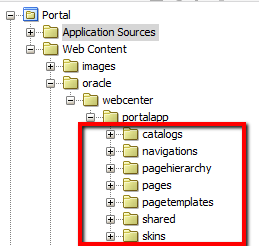 It’s difficult to look for things that are not posted already, I’m sure I’ll start duplicating some of them, but meanwhile, I would like to start with 1 of the differences on “WebCenter Portal Framework Application“. This URL was only valid for Administrators that were signed in to the portal. Once the session expired the URL was not valid any more. Error 404 resource not Found. Similar to what we had in the Filter, the first validation is to check if the user is logged in, otherwise he will be sent to the Login screen, if the user is logged in by default you’re sent to the 404 error but you can extend this if needed.